This week is full of firsts on this week. This is the first our first commentary track and the first time we broke away from reviews. It’s also the first time when Chris is this weeks host… mainly because Rebecca couldn’t be bothered. 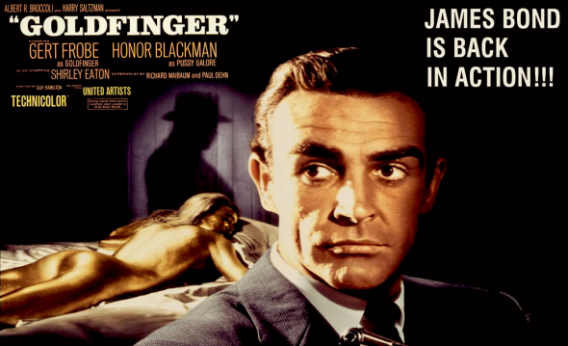 Join Chris, Becca and Dave as we talk our way through the classic Goldfinger and stay off topic as per usual. Why not send us a email expectustotalk@gmail.com to give us any feedback. This entry was posted in Do You Expect Us To Talk?, Uncategorized and tagged 007, chris byrne, cinematronix, commentary track, Dave Bond, expect us to talk, james bond, M, podcast, Q, Rebecca Andrews, Sean Connery by Chris. Bookmark the permalink.